We found Bath Canine Hydrotherapy to be very professional, very friendly & had the right temperament to get Marty back on his feet. Thank you so much for getting Marty back to his normal self. Following surgery on her cruciate ligament, Bella had a number of hydrotherapy sessions with Bath Canine Hydrotherapy. 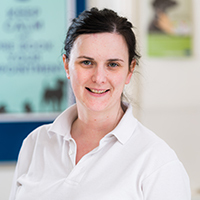 The physiotherapist is an excellent and experienced professional who always provided a very calming and professional environment for the dogs. We would have no hesitation in recommending her. While the skills of the veterinary team were outstanding, it was Bath Canine Hydrotherapy who turned their hard work into reality and made that journey possible. Ever friendly, helpful and caring, I would thoroughly recommend their services to anyone that needs them. From the very first session with Bath Canine Hydrotherapy, they began to rebuild and strengthen Hamish's leg muscles, which significantly sped up his recovery and simple agility. Their professionalism and dedication was immediately apparent, and the consultation and treatment process all explained in clear and precise terms. Thanks for the wonderful service you have provided to Zac, my young and accident prone Labrador Retriever. You have shown a great understanding and compassion for Zac who had undergone major knee surgery for the second time. With my and Zac’s sincere thanks. Bath Canine Hydrotherapy is a very thoughtful and caring practice who treated our two Tibetan Terriers with great respect, love and professionalism. They helped achieve a full recovery for both dogs - much against the odds! !